The "Flood Hazard and Climate Risk Management to Secure Lives and Assets in Mali" project will develop adaptation benefits that minimize the exposure of vulnerable populations to floods and flash flood risks, and thereby minimize losses of assets that will accelerate with the expected impacts of climate change. The project is seeking to develop long-term sustainable approaches by mainstreaming climate risk management into local development plans. 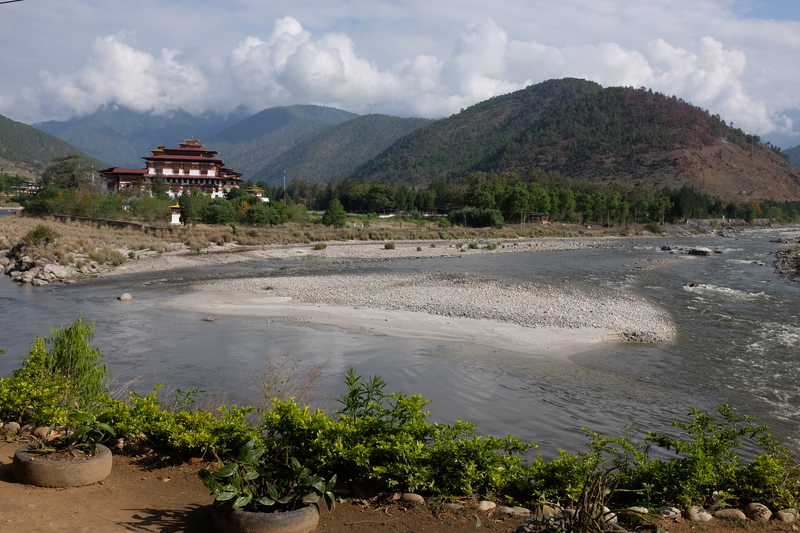 By building sustainable land and water management techniques and riverbank protections, the project will help to maintain and restore biodiversity by strengthening the functionality of the ecosystems. Local government recognizes the significance of flood risk and the need to integrate flood risk assessment and its management into the planning process in order to deliver a policy to avoid and minimize potential future flood risk. The project will take into account how resource degradation and natural disasters, such as flooding, affects men, women and vulnerable groups, such as children and the elderly, differently. The dissemination and sharing of information will be developed and disseminated in order to ensure that women and girls - especially those who are poor or who were denied the right to education - can easily have access to the necessary information. At the national level, the project will build the overall capacity of the Government of Mali to plan for and respond to floods. At the local level, the project will deliver targeted adaptation benefits to 51 vulnerable local communities in the districts of Bamako, Kayes and Mopti, resulting in direct benefits for at least 1.2 million people in 120,000 households. Within these target intervention sites, the project will introduce multiple measures to reduce vulnerability to flood risks. Vulnerable local communities will benefit directly from the establishment of physical measures for flood protection including permeable rock dams and stormwater drains. In addition to providing physical flood protection, the project will implement awareness-raising activities on the management of floods to at least 500,000 people. The project’s awareness-raising activities will also include campaigns to increase the knowledge of municipal and village officials on the management of public risks related to floods. At the local level, the project activities will deliver targeted adaptation benefits to 51 vulnerable local communities in the districts of Bamako, Kayes and Mopti, resulting in direct benefits for at least 1.2 million people across 120,000 households. Since the 1970s, an increase in average temperature has been observed across Mali. This trend is expected to continue, and climate models predict that by 2080 Mali’s mean annual temperature will increase by 3-4°C relative to the annual temperature in 1980. This represents a predicted temperature increase that is 1.5 times the global average. The variations in temperature and rainfall over the last few decades have been further compounded by climate-related hazards such as droughts, floods, strong winds, sand storms and heat waves. Mali is increasingly experiencing floods. From 1980-2007, two significant floods were recorded that collectively impacted over 3 million people. In addition, the floods experienced in Bamako in August 2013, affected over 34,000 people, displacing some 20,000 people. These floods resulted in the death of 37 people and the loss of 280 homes in the capital city of Bamako. In 2014, 98.5% of economic losses as a result of disasters were attributed to floods. This amounts to US$45 million per year. The areas most affected by floods over the last 30 years are located within the Niger Delta and include inter alia Bamako, Timbuktu, Gao, Mopti, Ségou, Kayes, Koulikoro and Sikasso. 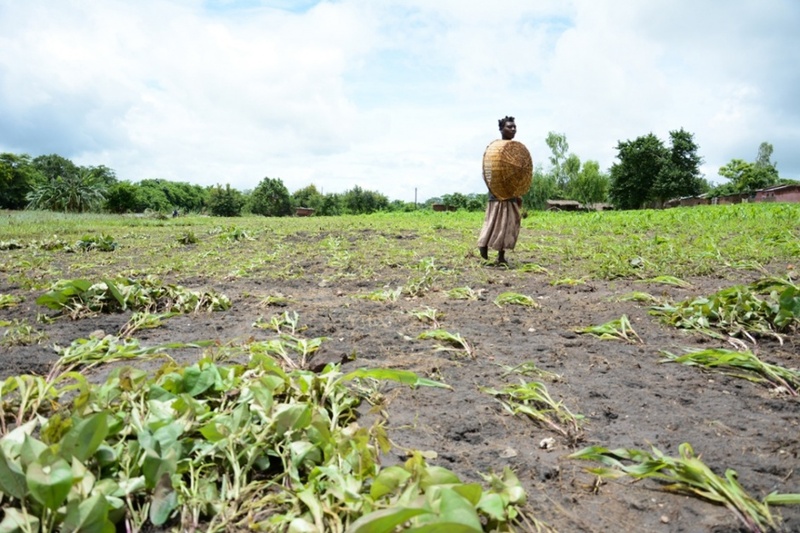 Some of the floods experienced in Mali reportedly damaged over 12,000 hectares of crops, thereby negatively affecting the livelihoods poor rural people. Under the predicted conditions of climate change, an increasing number of climate-related hazards such as floods and heat waves is likely to occur. These hazards are predicted to increase in severity and frequency under future climatic conditions. An increase in the severity and frequency of flooding is likely to result in a larger number of flood-induced human deaths, people displaced, damages to houses and public infrastructure, and loss of crops. The objective of the GEF-LDCF-financed "Flood Hazard and Climate Risk Management to Secure Lives and Assets in Mali" project is to strengthen the capacity of national and local government authorities to effectively manage and reduce the negative impacts of floods on local communities and infrastructure in Mali. To achieve this objective, the project will support improved planning and decision-making within government authorities to respond to flood risks and hazards. This enhanced capacity of national and local government authorities to plan and implement locally-appropriate flood mitigation strategies will reduce the vulnerability of local communities to the negative effects of floods. 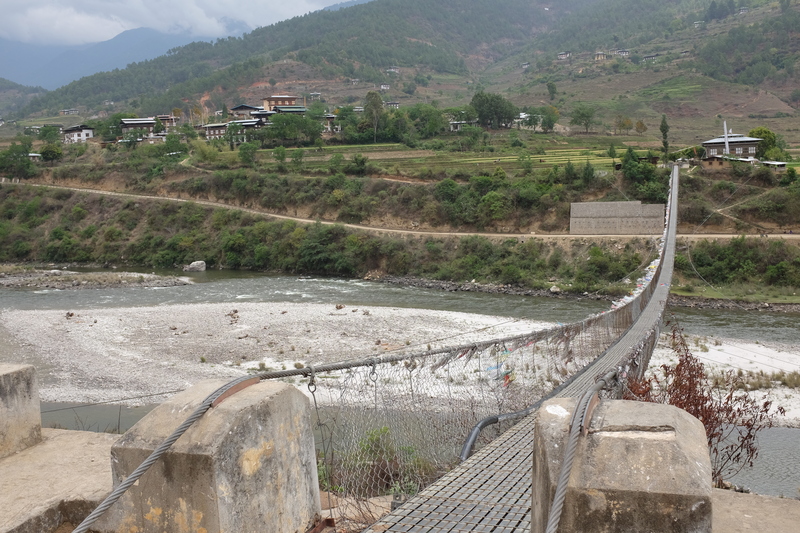 Outcome 1 - Strengthened technical capacity of municipal and village authorities to improve flood early warning systems and dissemination of climate-related risk information. Output 1.1. 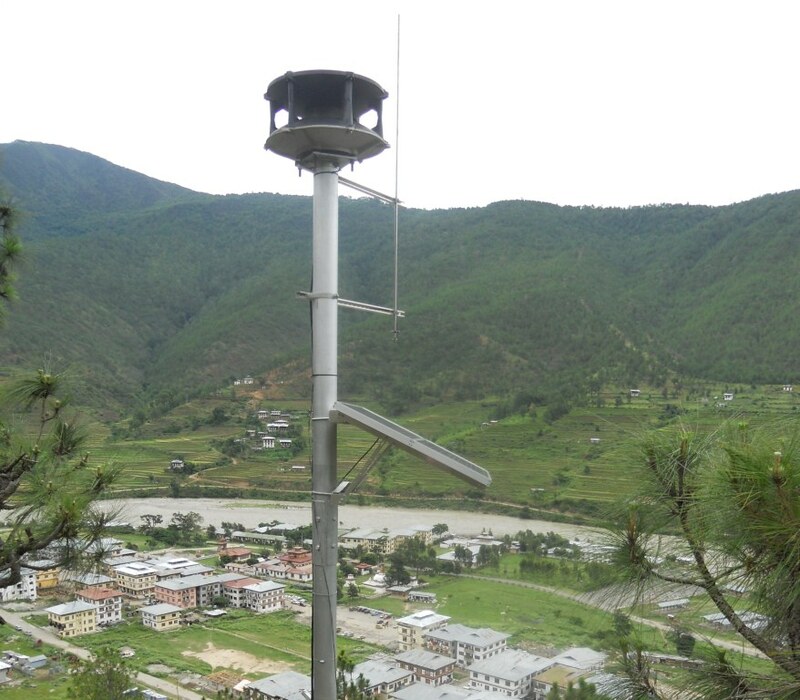 Establish sound climate information systems and devices operating 24 hours a day for monitoring and forecasting flood hazards and providing reliable warnings using mobile phone platforms. Output 1.2. Early warning and quick-response systems are developed to increase the resilience of vulnerable local communities in the intervention sites. Output 1.3. Risk mapping combining flood risks with socio-economic indicators – including inter alia population-related indices, land value, land uses, assets – is undertaken. Output 1.4. An education programme and awareness-raising campaign is undertaken within schools and local communities to build a culture of safety and resilience to floods. Outcome 2 - Effective flood risk management mainstreamed into the relevant development planning policies and budgetary processes to increase the resilience of local communities. Output 2.1. Commune-specific Flood Risk Reduction Plans (FRRPs) with locally-appropriate strategies and interventions to decrease the vulnerability of local communities to floods are developed. Output 2.2. Design, harmonize and enhance existing building and settlement codes to decrease vulnerability of local communities to floods. Output 2.3. Financial strategies are developed and implemented to improve the financial capacity of local authorities to respond timely to climate-related hazards, in particular floods. Output 2.4. The technical capacity of the relevant national and local authorities on climate risk management planning as well as flood prevention and reduction measures is enhanced. Outcome 3 - Climate-resilient flood risk management and reduction techniques transferred to local communities within the targeted communes to decrease their vulnerability. Malawi’s high dependency on rainfed, maize dominated agriculture, combined with poor urban planning in rural towns makes 85% of its populations highly vulnerable to climate change induced droughts, floods and post harvest grain losses. Between 1967 and 2003, 18 floods were recorded killing at least 570 people, rendering 132,000 homeless, and affecting a total of 1.8 million people. This GEF-LDCF funded, UNDP-supported project will help facilitate the use of an integrated package of ecological, physical and policy measures to reduce climate change related risks and improve the effectiveness of the baseline initiatives in Mangochi and Machinga Districts, in the upper Shire Basin. The United Nations Development Programme (UNDP) says it is impressed with how Mangochi District Council is implementing the Climate Proofing Project which aims at protecting the environment. UNDP Portfolio Manager responsible for Resilience and Sustainable Growth in Malawi, Andrew Spezowka made the remarks Monday when officials from UNDP and government visited the district for mid-term project review. Through the project, the council and communities have established irrigation schemes with solar powered pumps, planted trees along the river banks, build dikes to prevent river flooding and promoted natural regeneration in bare areas. The project has also installed a biogas plant at Mangochi prison. The technology which uses human waste to generate bio-energy will see the institution reducing demand for firewood. The combination of its geographic location and economic situation makes Kiribati one of the most vulnerable countries to climate change. Global temperature increase affects coral growth and sea level. In Kiribati, coastal erosion, sea water from storm surges inundating the land, extensive sea spray, and coral bleaching are being observed, impacts consistent with what to expect from climate change. These changes are adversely affecting the people’s livelihood. 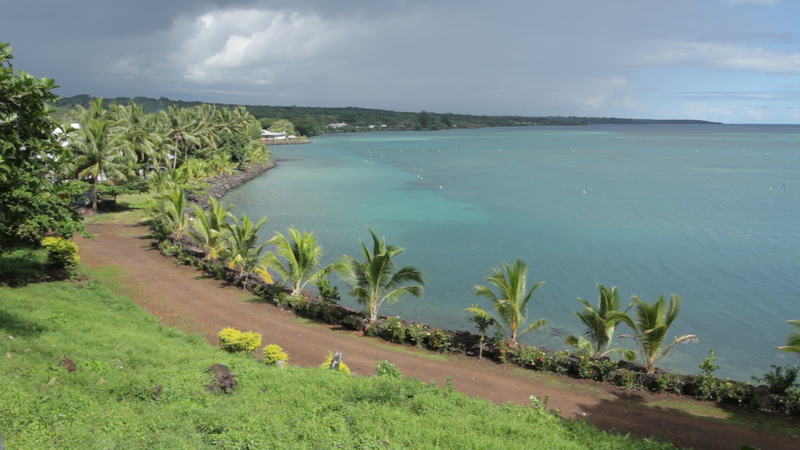 Climate change, through its impacts of sea level rise, are leading to coastal erosion, and more frequent and damaging storm surges which are expected to increasingly reduce vital agricultural productivity of crops such as pandanus varieties and coconut. To view progress on Kiribati's SNC click here. 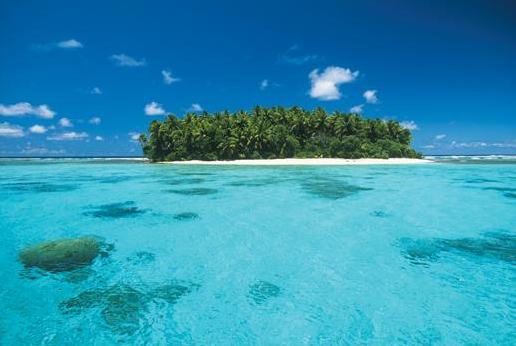 Kiribati is situated in the Central Pacific Ocean and consists of 33 atolls with a total land area of about 800 sq km. The atolls have a maximum height of 3 to 4 m above mean sea level and support an estimated population of about 95,000 people. Most people live a subsistence lifestyle, as the country is amongst the poorest and least developed countries in the world - having only a few natural resources, the main industries are tourism and the exports of Copra and fish. The combination of its geographic location and economic situation makes Kiribati one of the most vulnerable countries to climate change. Global temperature increase affects coral growth and sea level. It is known that the heat content of the oceans has increased, and this could mean increase in internal energy (turbidity enhancement) of the oceans and/or increase in sea level. In Kiribati, coastal erosion, sea water from storm surges inundating the land, extensive sea spray, and coral bleaching are being observed - quite consistent with what to expect from climate change. These changes are adversely affecting the people’s livelihood. Climate change through its impacts of sea level rise leading to coastal erosion, and more frequent and damaging storm surges bounding on the edges of the land will reduce agricultural productivity such as of pandanus varieties, and coconut. Establishment of a climate change and sea level monitoring center. Formation of an integrated coastal zone management plan. As well, the Kiribati Development Plan (2008–2011) recognizes the potential adverse consequences of climate change for national development. In addition, Kiribati’s National Water Resource Policy completed in 2008 integrates consideration of the need to adapt to the impacts of climate change (KAP, n.d.). The moderate number of adaptation projects, relative to other Pacific Island developing countries, are underway in Kiribati, most of which seek to build local capacity. The projects mainly focus on several sectors, namely: coastal zone management, water, meteorology, forestry and fisheries. 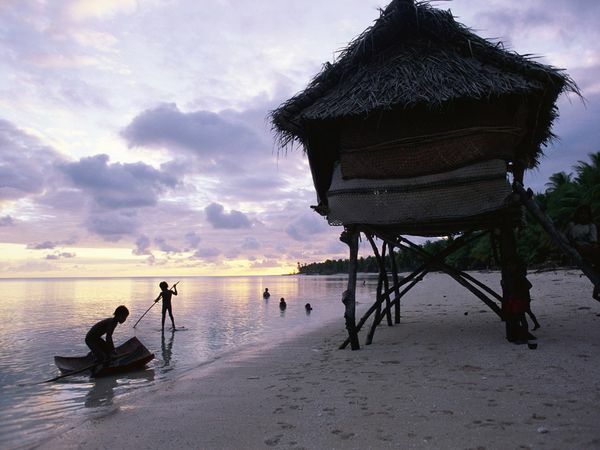 Notably, Kiribati has hosted the Kiribati Adaptation Program since 2003. This program has progressively support understanding of climate change impacts, development of adaptation measures and the integration of adaptation into policy and planning. In its third phase, this initiative is supporting implementation of actions identified in Kiribati’s NAPA. Within its NAPA, Kiribati identified nine priority projects for implementation. Some of these planned actions are now being supported through the project “Increasing Resilience to Climate Variability and Hazards” financed by the Least Developed Countries Fund (LDCF). Dohan, Rosemary; Hove, Hilary; Echeverría, Daniella; Hammill, Anne, Parry, Jo-Ellen. (2011) “Review of Current and Planned Adaptation Action: The Pacific.” Adaptation Partnership/International Institute for Sustainable Development, pp. 71 - 81. India has reasons to be concerned about the impacts of climate change. Its large population depends on climate-sensitive sectors like agriculture and forestry for livelihoods. Any adverse impact on water availability due to recession of glaciers, decrease in rainfall and increased flooding in certain pockets would threaten food security, cause die back of natural ecosystems including species that sustain the livelihoods of rural households, and adversely impact the coastal system due to sea level rise and increased frequency of extreme events. In addition to these impacts, achievement of vital national development goals related to other systems such as habitats, health, energy demand, and infrastructure investments would be adversely affected. India, situated below the Himalayas and lying in the sub tropical terrain, is adorned with a largely diverse topography, climate and biosphere, spanning a geographic area of 3.28 million km2. Occupying almost 2.3% of the world’s land area, it is the 7th largest country in the world but holds nearly 18% of the world’s population. This puts the nation under great stress to ably maintain a sustainable development pathway and to harness its resources efficiently. India shelters over 1.21 billion people representing various socio-cultural groups that collectively make up the world’s largest democracy. India has reasons to be concerned about the impacts of climate change. Its large population depends on climate-sensitive sectors like agriculture and forestry for livelihoods. Any adverse impact on water availability due to recession of glaciers, decrease in rainfall and increased flooding in certain pockets would threaten food security, cause die back of natural ecosystems including species that sustain the livelihoods of rural households, and adversely impact the coastal system due to sea level rise and increased frequency of extreme events. In addition to these impacts, achievement of vital national development goals related to other systems such as habitats, health, energy demand, and infrastructure investments would be adversely affected. India’s land surface may be classified as (a) the Great Mountain Wall of the North; (b) the Northern Plains; (c) the Great Southern Peninsular Plateau; (d) the Coastal Plains; and (e) the Islands. India’s unique geography produces a spectrum of climates yielding a wealth of biological and cultural diversity. Land areas in the north have a continental climate with high summer temperatures with cold winters when temperatures may go below freezing. In contrast are the coastal regions of the country where the temperature is more even throughout the year and rains are more frequent. There is large variation in the amounts of rainfall received in different parts of the country. Average annual rainfall is less than 13 cm in the Thar desert, while at Cherrapunji in the North- East it is as high as 1080 cm. The different climate regimes of the country vary from humid in the North- East (about 180 days rainfall in a year) to arid in Rajasthan (20 days rainfall in a year). A semi-arid belt in the peninsular region extends in the area between the humid west coast and the central and eastern parts of the country. The most important feature of India’s climate is the season of concentrated rain called the “monsoon”. The Southwest (SW) monsoon (May - September) is the most important feature of the Indian climate. India is a land with many rivers. The twelve major rivers spread over a catchment area of 252.8 million hectares (Mha) cover more than 75 per cent of the total area of the country. Rivers in India are classified as Himalayan, Peninsular, Coastal, and Inlanddrainage basin rivers. The land use pattern is influenced by diverse factors such as population density, urbanization, industry, agriculture, animal husbandry, irrigation demands, and natural calamities like floods and droughts. Despite stresses, the area under forests has increased in recent years due to proactive reforestation and afforestation programmes of the Government of India. Presently 23 per cent of the total land area is under forest and tree cover, while 44 per cent is net sown area. The remaining one-third is roughly equally distributed between fallow land, non-agricultural land, and barren land. The following section is found in the Meister Consultants Group study: *Floating Houses and Mosquito Nets: Emerging Climate Change Adaptation Strategies Around the World. India was an early adopter of the climate change adaptation and awareness strategies. It has also fostered the debate on global warming in international politics. For instance, during the conference of the signatory states of the United Nations Framework Convention on Climate Change, held in Delhi in 2002, India pushed for a joint declaration on the significance of global warming. The Indian report to the UNFCCC also emphasizes the need to assess vulnerabilities and to plan adaptation measures. In June 2008, India’s prime minister published the National Action Plan on Climate Change (NAPCC), which encompasses both climate protection and adaptation. 191 The plan defines eight priorities as National Missions: solar energy; energy efficiency; sustainable housing; water; preservation of ecosystem in the Himalayas; reforestation; sustainable agriculture; and strategic knowledge management. The responsible ministries are currently working on detailed implementation plans for these eight sectors. Adaptation measures are an important part of this integrated climate strategy. The first two areas (solar energy and energy efficiency) are mainly focused on climate protection, while the others include adaptation components, especially in the cases of agriculture and of knowledge management. What follows is a summary of the adaptation goals. This summary shows that the Indian government has already set strategic adaptation priorities. However, detailed planning and implementation of the measures is only just beginning. India’s geography is highly diverse, comprising the Himalayan mountain range, coastal plains, and the Great Peninsular Plateau. This diverse topography produces a spectrum of climates over the subcontinent. The northern part of the country experiences a continental climate with extreme summer heat and very cool winters; in contrast, the coastal areas of the country experience year-round warm temperatures and frequent precipitation (MEF, 2004). Rainfall across the country is highly variable, and the country experiences four distinct seasons, described in relation to the monsoon: (a) winter: December to February; (b) pre-monsoon or summer: March to May; (c) southwest monsoon: June to September; and (d) post-monsoon or northeast monsoon: October and November (MEF, 2004). Over 50 per cent of India’s forests are likely to experience a shift in forest types, adversely impacting associated biodiversity and regional climate dynamics, as well as livelihoods based on forest products. 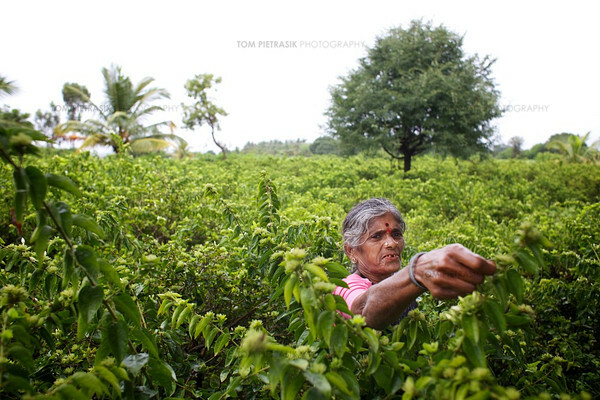 For the more than 800 million Indians who live in rural areas and depend on climate-sensitive sectors for their livelihoods—agriculture, forests and fisheries—the future looks alarming with the prospect of declining crop yields, degraded lands, water shortages and ill health. According to a 2008 report commissioned by the European Parliament, “[t]he majority of the vulnerable population of India is poorly equipped to cope effectively with the adversities of climate change due to low capabilities, weak institutional mechanisms and lack of access to adequate resources” (Kumar, 2008). India has been an active and influential global player in the climate change arena from the beginning of the debate. However, domestically, India only started to commission concrete actions on climate change very recently. It completed its Initial National Communication in 2004 and is presently working on its Second National Communication. It formed the high-level Prime Minister’s Council on Climate Change in June 2007, which was immediately directed to: (a) prepare a coordinated response to issues relating to climate change (mitigation and adaptation) at the national level; (b) provide oversight for formulation of action plans in the area of assessment, adaptation and mitigation of climate change; and (c) periodically monitor key policy decisions. An Expert Committee on the Impact of Climate Change has also been set up. It will assess climate change impacts and provide advice on the research activities needed to strengthen efforts to address climate change. On June 30, 2008, India launched its National Action Plan on Climate Change (NAPCC), which outlines existing and future policies and programs addressing climate mitigation and adaptation. Emphasizing the overriding priority of maintaining high economic growth rates to raise living standards, the plan “identifies measures that promote our development objectives while also yielding co-benefits for addressing climate change effectively.” The Action Plan identifies eight core “national missions” running through to 2017: Solar Energy; Enhanced Energy Efficiency; Sustainable Habitat; Water; Sustaining the Himalayan Eco-system; Green India; Sustainable Agriculture; and Strategic Knowledge for Climate Change. Most of these missions have strong adaptation imperatives. Ministries with lead responsibility for each of the missions have been directed to develop objectives, implementation strategies, timelines, and monitoring and evaluation criteria that will be submitted to the Prime Minister’s Council on Climate Change. The Council will also be responsible for periodically reviewing and reporting on each mission’s progress. To be able to quantify progress, appropriate indicators and methodologies will be developed to assess both avoided emissions and adaptation benefits. In addition, the Central Government has recently requested the State Governments to prepare State level Adaptation Action Plans on Climate Change consistent with the objectives of NAPCC. Based on India’s National Communication, NAPCC and available literature, India’s most vulnerable sectors to the effects of climate change are water, agriculture, forests, natural ecosystems, coastal zones, health, and energy and infrastructure. India’s new generation of climate change adaptation projects as per the NAPCC directives and missions are mostly in development at the moment. 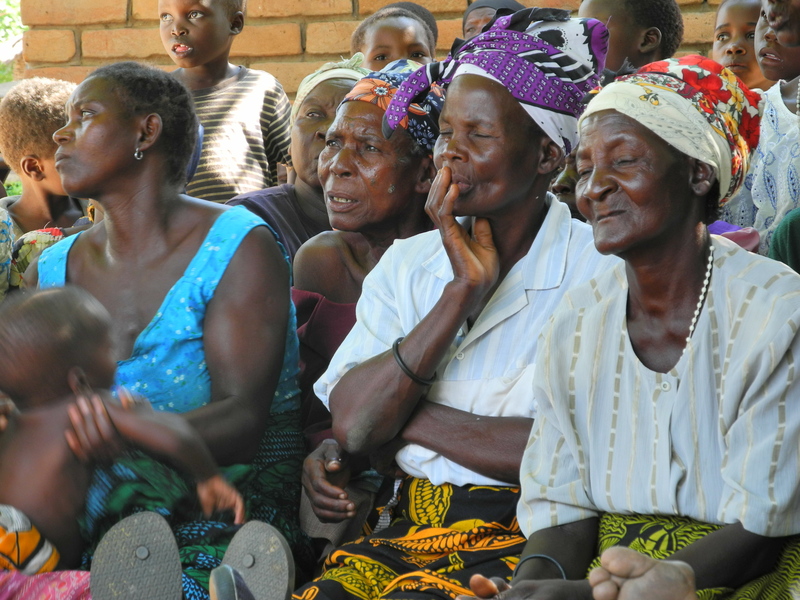 However, a number of adaptation focused projects have been launched recently with donor-support or concessional loans. Donors of these projects include the Asian Development Bank, Global Environment Facility (GEF), Rockefeller Foundation, Swiss Development Corporation (SDC), Special Climate Change Fund (SCCF), World Bank, World Wildlife Fund, United States Agency for International Development (USAID), and Australia’s Centre for International Agricultural Research. The majority of these projects are focused on policy formulation and integration, water, and agriculture, with a smaller number focused on coastal zones, forestry, land and nature. The areas of meteorology, gender, infrastructure, health, and energy only have one ongoing adaptation action. Additional adaptation projects may be financed through the Climate and Development Fund, which was established by the United Kingdom to provide a flexible source of funding (US$0.66 million) to support shared priorities of the United Kingdom and India between 2008 and 2013. While new plans and programs for adaptation are being developed, many completed or on-going programs (especially water, coastal, agriculture, forests and disaster management sector programs) have strong adaptation components. In 2007, for instance, there were 22 programs in crop management, 19 in drought proofing, 19 in health, six in risk finance, six in disease control,12 in forestry and 30-odd in poverty alleviation in India—all supported by the central and/or state governments. The Government therefore has claimed that India is already spending over two per cent of its GDP on various programs that also support adaptation. Of the various adaptation initiatives that are being developed in India, two have been presented to the SCCF for funding. It also notes programs being developed by SDC. Islam, Faisal; Hove, Hilary; Parry, Jo-Ellen. (2011) “Review of Current and Planned Adaptation Action: South Asia.” Adaptation Patnership/International Institute for Sustainable Development, pp. 86-107. Kumar, R. (2008). Climate Change and India: Impacts, policy responses and a framework for EU-India cooperation. European Parliament report no. IP/A/CLIM/NT/2007-10, PE 400.991. Mehra, M. (2009). India Starts to Take on Climate Change. State of the World 2009. Washington DC: Worldwatch Institute. Our present state of knowledge on the relationship between climate and plant performance is grossly inadequate for the purpose of modeling future climate change impacts. Research in the following areas is thus a key prerequisite for coming up with robust adaptation strategies. 1. Ecological research on plant and animal species and communities in relation to climate variability and change: Keeping in view the sensitivity of plant and animal species to climate variability and change, the ecological studies of plant and animal species, plant–animal interactions, and community in relation to climate variability and change are required to be carried out. 2. Dynamic vegetation modeling of climate change impacts on forest ecosystems, biodiversity and adaptation: The few studies so far conducted in India are largely based on equilibrium models, which assume that one forest type is replaced by another forest type under changing climate. The varying climate tolerances of different plant species and the transient phase response of plant species subjected to climate change are not analyzed. There is a need to adapt the existing dynamic vegetation models for application to the diverse tropical forest types in order to analyze the implications of climate change at species level. The ultimate goal is to develop adaptation strategies and practices to reduce vulnerability of forests to climate change. The modeling effort should incorporate adaptation. 3. Impact of climate change on mitigation potential, carbon sinks, and adaptation: India has a large afforestation programme, and it is important to understand the likely impacts of climate change to ensure sustainable management of forests and flow of timber, industrial wood, and non-timber products and conservation of biodiversity. There is a need to analyze the climate impacts using dynamic vegetation models and developing adaptation strategies. 4. Mitigation potential assessment: There is also a need to develop a database on biomass growth rates and soil carbon accumulation rates in forests and plantation systems in different agro-ecological zones of India. This data is required for a realistic assessment of the mitigation potential of the forest sector in India. Agriculture is a key sector in India, as a vast population base of the country still lives in rural areas and depends for its food and livelihoods requirement on agriculture. The agriculture sector is hugely dependent on climate parameters such as rainfall and temperature, and therefore, a significant amount of the country’s resource needs to be expended in identifying appropriate adaptation strategies for the agriculture sector, so as to ensure food security for the nation as well livelihoods security for its vast population. Some adaptation strategies are listed below, which would require considerable research resources in the future. Resource conserving technologies involving zero or minimum tillage with direct seeding, permanent or semi-permanent residue cover, and crop rotations have the potential to improve the efficiency of use of natural resources, including water, air, fossil fuel, and soil. Among other things, the efficiencies gained include less land and time needed to produce the required staple cereals and allowing farmers to diversify crops and cropping patterns or pursue other gainful activities. The technologies can improve the sustainability of the cropping system by conserving the resource base and higher input use efficiency and also mitigating GHG emission. Change in crop management: Crop management, such as short, medium, and long duration variety; change in sowing time, which includes early as well as late sowing relative to current sowing time; increasing the seed replacement rate by the farmers; and change in irrigation patterns and fertilizer application for increased input use efficiency, should be pursued. Crop diversification: Diversification of crop and livestock varieties, including the replacement of plant types, cultivars, hybrids, and animal breeds with new varieties intended for higher drought or heat tolerance, has been advocated as having the potential to increase productivity in the face of temperature and moisture stresses. Diversity in seed genetic structure and composition has been recognized as an effective defense against disease and pest outbreak and climate hazards. Moreover, the demand for high value foods such as fruits, vegetables, dairy, meat, eggs, and fish is increasing because of growing income and urbanization. This is reducing the demand for traditional rice and wheat. Diversification from rice–wheat to high value commodities will increase income and result in reduced water and fertilizer use. However, there is a need to quantify the impacts of crop diversification on income, employment, soil health, water use, and GHG emission. The most significant problem to overcome is that diversification is costly in terms of the income opportunities that farmers forego, that is, switching crop varieties can be expensive, and making crop diversification typically less profitable than specialization. Moreover, traditions can often be difficult to overcome and will dictate local practices. Adjusting cropping season: Adjustment of planting dates to minimize the effect of temperature increase- induced spikelet sterility can be used to reduce yield instability, by avoiding having the flowering period to coincide with the hottest period. Adaptation measures to reduce the negative effects of increased climatic variability as normally experienced in arid and semi-arid tropics may include changing the cropping calendar to take advantage of the wet period and avoiding extreme weather events (for example, typhoons and storms) during the growing season. Cropping systems may have to change to include growing suitable cultivars (to counteract compression of crop development), increasing crop intensities (that is, the number of successive crop produced per unit area per year) or planting different types of crops. Farmers will have to adapt to changing hydrological regimes by changing crops. Augmenting production and income: Production can be enhanced by improved crop management, improved adverse climate tolerant varieties, improved seed sector, using technology dissemination mechanisms, making available capital and information, which are the key reasons for yield gaps. Watershed management programme can yield multiple benefits. Such strategies could be very useful in future climatic stress conditions. Income can be increased from agricultural enterprises by suitable actions such as accelerated evolution of location- specific fertilizer practices, improved fertilizer supply and distribution system, improved water and fertilizer use. Early warning system and crop insurance: Improved risk management can be carried out through early warning system and crop insurance policies that encourage crop insurance and can provide protection to the farmers if their farm production is reduced due to natural calamities. In view of these climatic changes and the uncertainties in future agricultural technologies and trade scenarios, it will be very useful to have an early warning system of environmental changes and their spatial and temporal magnitude. Such a system could help in determining the potential food-insecure areas and communities, given the type of risk. Modern tools of information technology could greatly facilitate this. Water management: In situ soil–water management, particularly in arid and semi-arid regions, where crop growth is severely limited by water deficit even if nutrient availability is adequate, is important for enhancing productivity and organic carbon content of soil. Water harvesting techniques and micro catchments are extremely beneficial in increasing biomass production in arid climates. Waste water and solid waste in agriculture should be recycled as freshwater supplies are limited and water has competing uses, and it would become even more constrained in changed global climate. Industrial and sewage waste water, once properly treated, can also be a source of nutrients for crops. Since water serves multiple uses and users, effective inter-departmental coordination in the government is needed to develop the location- specific framework of sustainable water management and optimum recycling of water. Post-harvest management: Harvest and post-harvest management should be carried out for minimizing the losses due to extreme climatic events or mean climate change conditions. Providing community-based post- harvest storage spaces at village level can help the farmer to save the produce from exposure to any climate related extreme event. Research efforts are required to design the storage structures and efficient processes for changed climate scenarios. Harnessing the indigenous technical knowledge of farmers: Farmers in South Asia, often poor and marginal, are experimenting with the climatic variability for centuries. There is a wealth of knowledge for a range of measures that can help in developing technologies to overcome climate vulnerabilities. There is a need to harness this knowledge and fine-tune it to suit the modern needs. Agriculture has the potential to cost-effectively mitigate GHGs through changes in agricultural technologies and management practices. Mitigation of GHG emission from agriculture can be achieved by sequestering carbon in soil and reducing methane and N2O emissions from soil through change in land use management. Changing crop mixes to include more plants that are perennial or have deep root systems increases the amount of carbon stored in the soil. Cultivation systems that leave residues and reduce tillage, especially deep tillage, encourage the build- up of soil carbon. Shifting land use from annual crops to perennial crops, pasture, and agro-forestry increase both above- and below-ground carbon stocks. Changes in crop genetics and the management of irrigation, fertilizer use, and soils can reduce both N2O and methane emissions. Such options are not only important for global warming mitigation but also for improving soil fertility. Sequestration of C in agricultural soil: Mitigation of CO2 emission from agriculture can be achieved by increasing carbon sequestration in soil through application of organic manure, change in soil management, and restoration of soil carbon on degraded land. Soil management practices such as reduced tillage, manuring, residue incorporation, improving soil biodiversity, micro-aggregation, and mulching can play an important role in sequestering carbon in soil. Sequestration of carbon in soil is not only important for global warming mitigation but also for improving soil fertility. The strategies for mitigating methane emission from rice cultivation could be altering water management, particularly promoting mid-season aeration by short- term drainage; improving organic matter management by promoting aerobic degradation through composting or incorporating it into soil during off-season drained period; use of rice cultivars with few unproductive tillers, high root oxidative activity, and high harvest index; and application of fermented manure like biogas slurry in place of unfermented farmyard manure. Direct-seeding of rice (DSR) could be a potential option for reducing methane emission. Methane is emitted from soil when it is continuously submerged as in case of conventional puddled transplanted rice. However, the DSR crop does not require continuous soil submergence, thereby reducing or totally eliminating methane emission when it is grown as an aerobic crop. As the DSR reduces methane emission drastically it has considerable potential (about 75%) to reduce the global warming potential (GWP) compared to conventional puddled transplanted rice. Efficient manure management using biogas plant for global warming mitigation: Biogas technology, besides supplying energy and manure, provides an excellent opportunity for mitigating GHG emission and reducing global warming through substituting firewood for cooking, kerosene for lighting and cooking, and chemical fertilizers. The global warming mitigation potential of a family-size biogas plant is about 10 t CO2 eq/year. Mitigating N2O emission: The most efficient management practices to reduce N2O emission are site-specific nutrient management and use of nitrification inhibitors such as nitrapyrin and dicyandiamide. There are some plant-derived organics such as neem oil, neem cake, and karanja seed extract, which can also act as nitrification inhibitors. The livestock sector is one of the significant contributors to GHG emissions in India. Large uncertainties exist in the livestock enteric methane emission estimates due to variations in livestock breeds, body weights, growth, feed quality and resources and their digestibility, milk production, and emission coefficients. Livestock species of India are well-adapted breeds, and prospects for these animal species to adapt to increased air temperature through traditional breeding and genetic modifications appear to be promising. More research on possible adaptation of these species to elevated CO2 is needed. The loss in milk yield of these adapted species has been observed to be small due to rise in temperature, suggesting that adapted species will more consistently yield produce under climate change scenarios in tropical latitudes than in temperate latitudes. Livestock production with scientific management practices will reduce production losses. Livestock management and proper housing under tropical conditions will help in abating extreme productivity losses.The livestock producer awareness of livestock threshold for physiological stress can help in the adaptation of livestock to climate change and reducing losses due to temperature variability and rise due to climate change. Impacts of climate change on livestock after adaptation are estimated to result in small percentage changes in income; these changes tend to be positive for a moderate global warming, especially when the effects of temperature rise are taken into account. The effectiveness of adaptation in ameliorating the economic impacts of climate change on livestock across India will depend on local or on regional resource endowments. A review of various adaptation strategies needs to be carried out to estimate future requirements of livestock (species and breeds) to assess the impact of climate change. There should be a scientific development of impacts inventory for different livestock species based on quantitative modelling outputs and qualitative assessments. Assessment of the impacts in monetary values for policy decisions making, use of multipurpose adapted livestock species and breeds to minimize impacts, and superior breeds with higher productivity (meat, milk, wool or draught) may be encouraged only for commercial use, and a livestock mix at farm level has to be made available to our farmers. Farmers need to be educated about the consequences of climate change and options. Preventive methods for diseases and vector spread may be taken. Use of suitable animal management practices (some strategies and the related description is given in Table 7.5) to reduce negative impact on yield and production by short-term and long-term strategic planning is to be formulated and executed at grassroot level. Mitigating methane emissions from livestock production system: Methane production from livestock, either directly through the livestock production system or indirectly through changes in the biodiversity, has significantly contributed to the GHG flux emanating from India. Livestock production can also result in emissions of N2O. However, there are ways through which GHG emissions can be reduced from livestock through various kinds of management and technical strategies, which would at the same time enhance production efficiency and result in lower emissions per unit of milk or meat produced. There are a number of options that exist to assist in minimizing the effect of heat stress on livestock. The two primary options are making some ration adjustments and altering the environment that the animals live in. Mitigation of methane production from ruminants has both long- term environmental and short-term economic benefits. Manipulations in rumen through different possible options are beneficial to reduce the methane production by decreasing the fermentation of organic matter in the rumen, shifting the site of digestion from the rumen to the intestine, diverting H+ for more propionic acid production, and inhibiting the activity of methanogens. In addition to the enteric fermentation contribution of methane from ruminants, one of the major GHG emission contributions from livestock production is from forage or feed crop production and related land use. Proper pasture management through rotational grazing is the most cost-effective way to mitigate GHG emissions from feed crop production. Animal grazing on pasture also helps reduce emissions. 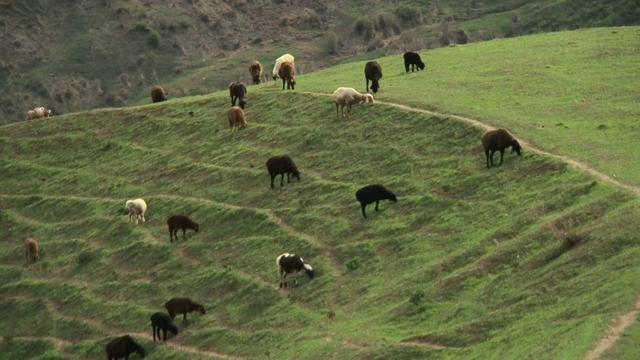 Introducing grass species and legumes into grazing lands can enhance carbon storage in soils. Improving the management of animal waste products through different mechanisms, such as the use of covered storage facilities, is also important. The level of GHG emissions from manure (methane, N2O, and methane from liquid manure) depends on the temperature and duration of storage. Long-term storage at high temperatures results in higher GHG emissions. In the case of ruminants, pasture grazing is an efficient way to reduce methane emission from manure because storage is not necessary. Agriculture contributes to about 17.6% of the total GHG emissions of the country (MoEF, 2010). Considering the growing demand for food in the near future and the need for ensuring food and nutritional security of the nation, the Department of Agriculture and Co-operation (DAC) proposes an emphasis on growth in food production rather than on mitigating GHG emissions from the agriculture sector. However, apart from the two broad areas proposed for further research in mitigation of climate change i.e. emission from rice fields and N2O emission due to nutrient management; there is a need to develop research themes that have more focus on mitigating GHG emissions from the livestock sector (According to MoEF, 2010; out of the total GHG emissions from the agriculture sector, a majority share i.e. 63.6% is contributed by livestock). First, during the current century, under plausible global emissions scenarios, the climate over the Indian sub- continent would be significantly altered, with regional variations in temperature and precipitation as well as in the distribution of the extreme climatic events like hurricanes. Second, this would be a century of development for India, accompanied by rising incomes, stabilized population (by the later half of the century), integration with global markets, and enhanced social-infrastructure. The effects of this would be increased energy consumption on the one hand and enhanced mitigative and adaptive capacity on the other. Third, climate change would impact the key sectors of the Indian economy, and in the absence of adaptation strategies, could cause significant damage. The water, agriculture, and forest sectors would experience direct impacts. In these sectors, understanding the regional variability of climate change across different agro-climatic zones would be the key to develop the response strategies. The ecosystems would experience direct stress from the altered climate. The impacts would vary across species and regions. Thus, it is important to identify the vulnerable species, examine their migration capabilities, and develop strategies to enhance resilience and survival. Fourth, the direct and indirect effects of climate change on health are vital. 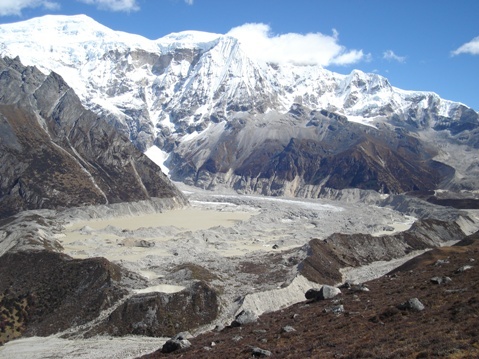 While the temperature rise and increased precipitation may exacerbate the vector-borne diseases such as malaria and its spread to newer areas, such as higher altitudes in Himalayan mountains; the rising incomes, medical inventions, and increased supply of social infrastructure would cause benign effects that would mitigate the health impacts. Fifth, the human activities as well as natural processes along the long coastline of India are especially vulnerable to changes in climatic parameters and secondary effects like the rising sea level and increased hurricane activities. Globalization processes are already adding environmental stresses in coastal regions, as trade tends to concentrate economic activities and population in the coastal areas. Finally, in summation, the impacts and vulnerability would be decided on the one hand by the extent of climate change and on the other by the pace and quality of development in the country. While a successful global climate regime could keep the concentrations of GHGs in the atmosphere within dangerous limits, the quality of development would be the prime insurance at the national level to deal with the adverse impacts of climate change. The key tasks to address vulnerability and adaptation may be viewed in the matrix of strategies and geographic hierarchy (Table 7.6). Climate change is a long-term issue, that is, the change in climatic parameters and their impacts would continue to exacerbate over decades and centuries.Therefore, the type and intensity of interventions would enhance with the expiry of time. Strategically, we therefore propose only the immediate, that is, near-term tasks to keep adjusting to the advancing knowledge of climate change and its impacts, emerging technologies, and emerging signals from the global policy regime. In the short-run, that is, within a decade, the immediate tasks are to enhance capacity for scientific assessment, generate awareness among the stakeholders, and institutionalize learning processes. These tasks were effectively initiated within the process for preparing the INC. A network of research institutions exists in India, which houses excellent competences in different areas of assessment (like INCCA). In India, other organized stakeholders like the industry associations and NGOs are already participating in the climate change activities. The institutionalization of the existing research initiatives – first via coordinated networks and later via the creation of centres of excellence – would be a key task. The global assessments, especially by the IPCC, are pertinent inputs into the national assessment. Indian experts are contributing to the IPCC assessments over the past decade. Organizing a cell of experts, especially those participating in the current global assessments, and linking it with the government processes would enhance the Indian assessment, besides improving inputs from the country into the IPCC assessments. The Indian Network for Climate Change Assessment (INCCA) has been constituted to institutionalize the various aspects of climate change related research. While major investments in adaptation technologies may wait, creating technology knowledge base would be essential to reduce transaction costs and transition time. In case of projects building long-life assets, such as infrastructure, including future climate change in the project impacts assessment would be critical. In the short run, building partnerships is another key task. Awareness among stakeholders is essential for this. In brief, the short- term tasks would focus on soft processes that involve capacity building for assessment, technological learning, partnerships among stakeholders, databases and models to support policy making, vertical-geographical integration of assessment, instituting policy-science interface between government and researchers, and initiating pilot work on economic instruments, such as insurance, for efficient implementation of response strategies. The medium and long-run tasks would best get crafted with time. Though the specifics of these tasks and timetable of their implementation are uncertain, an a priori speculation of these tasks indicates that instituting measurement systems to assess the extent of impacts in critical sectors would be an important task.The involvement of local actors in developing and implementing adaptation response strategies is critical since the impacts by their very nature are sector- and locale-specific. A vital task would be to institute self-driven and efficient mechanisms under a global umbrella such as the insurance markets, and adequate funds for adaptation technology development and transfer to Non-Annex I countries. In the final analysis, any new initiatives, institutions, and policies are executed through existing institutions and under prevailing conditions. The apparently perfect strategies designed to address a specific issue, such as climate change, would be implemented via markets, institutions, and organizations that are far from perfect in developing countries. The tasks delineated above, therefore, will have to be moderated and adapted to the realities of the prevailing national dynamics. In India, the present policy dynamics are imbued with reforms perspective. This offers positive opportunities for efficient execution of new initiatives. This notwithstanding, the vulnerability and adaptation strategies to deal with climate change have inherent implementation difficulties on three counts. First, efficient markets to deal with natural climate variability are weak. This is evident from the incomplete and inadequate insurance cover for crop failures and against hurricanes. Second, the insurance market to address the added variability from anthropogenic climate change operates over the distorted baseline of existing insurance market for natural climate variability. The incremental damages due to anthropogenic forcing on climate are difficult to isolate from the baseline climate variability. This makes it difficult to assess incremental damages as well as incremental cost of adaptation. Third, implementation and coordination failures are frequent in developing countries. The damages, therefore, may far exceed those feasible under an efficient system. Vulnerabilities, therefore, appear exaggerated compared to what they would be under an efficient market system or an effective public governance system. The National Action Plan on Climate Change has underscored the use of market mechanisms, wherever and whatever extent possible, in mitigating harmful impacts due to climate change. on agriculture miss the fact that farmers of distant future in India would be living in a country with high average annual per capita income and would operate their farming business in an interconnected world with significant global trade in agriculture commodities, having access to superior weather-resistant seeds and efficient cultivation practices. The country would be less likely to have food security as its prime concern, and farmers are unlikely to face starvation. Similarly, the residents of India then would have better access to health and sanitation services and improved medicines. The malaria would be less likely to spread under such conditions, unlike in the present society exposed to the future hot and humid climatic conditions. The key to valid vulnerability assessment would be to assess the future impacts of climatic changes in the context of the then prevailing socio-economic conditions through articulated and structured socio-economic scenarios. These observations point to a vital nexus between development and climate change. Conventionally, the vulnerability assessments and search for adaptation solutions have been confined to climate change science and policy. The development is then viewed as exogenous to the assessment, at best offering some ancillary benefits. The climate change vulnerability and adaptation assessments conducted for India under the SNC project validate the alternate perspective that considers development as the key contributor of adaptive and mitigative capacities. This perspective shifts the search for adaptation solution away from climate change science and policy to the broader domain of development policies. The real baselines then emerge as the point of departure of the analysis rather than as barriers to achieving efficient solutions in the ideal domain. Development then emerges as the source of solutions for climate change and its impacts, rather than its root cause. The key lesson is that the national development priorities, driven along sustainable pathways, can be the drivers of benign environmental changes. Thus, the integration of well-crafted development and climate actions would not only benefit development, but shall also redress the climate change vulnerabilities in developing countries. The architecture of an effective climate change regime thus rests on the foundation of a robust development regime. If there is to be a reorientation of the energy and other sectors in developing countries to meet the climate change and sustainable development challenges, there is a wide agreement that technology will play a central role in this transformation. India makes capital goods to the tune of INR 260,000 crores. This sector comprises Heavy Electrical Machinery, Earth Moving Machinery, Industrial Machinery, Engineering Sector and Machine Tools. The sector has a ‘multiplier’ effect on energy consumption. Energy efficient machinery will save MWs of energy during its lifecycle. Indian technologies for the manufacture of these machineries lag behind the international best designs from energy use perspective. The Indian industry needs technology, finance and standards in order to achieve global standards. In the case of automobiles, emission norms have already been introduced and the study of manufacturing plan of electric mobility in the Department of Heavy Industry is underway. In Heavy Industrial and Electrical Machinery sector, Working Group on Capital Goods & Engineering Sector recommended the manufacture of machinery with new technology with certain percentage of value addition and import of brand new energy efficient machineries as against import of second hand machines by the Indian industry. Given that the technology needs of the developing countries in relation to climate challenges are diverse and that deployment often requires a range of activities (not only technical, but many others as well), the term “technology transfer” provides too narrow a perspective and framework for successfully leveraging technologies for meeting climate challenges. The agenda for moving ahead must be viewed with the understanding that the necessary elements must be appropriately tailored both to the specifics of the technology as well as national circumstances. At the same time, the importance of controlling GHGs “through the application of new technologies on terms that make such an application economically and socially beneficial” must also be recognized, as highlighted in the UNFCCC. 1. Financial assistance: In cases where the high cost is the barrier to the deployment of improved energy technologies that advance climate mitigation as well as the development agenda, industrialized countries will need to fund the incremental costs of these technologies. Such an approach has already been implemented by the Global Environmental Facility (GEF). One possibility may be to develop a policy of graduated financial assistance, where a portion of the incremental costs would be covered by developed countries. 2. Technology deployment in Annex I countries: There is an urgent need to begin deploying improved energy technologies in industrialized countries. In the case of technologies in the pre-commercial or early deployment stage, enhancing deployment in industrialized countries could be the fastest route to cost reduction, as the benefits of “learning-by-doing” accumulate. While large-scale deployment is unlikely to take place in the absence of national climate mitigation policies, targeted policies aimed at key technologies need to be implemented sooner rather than later. 3. Joint technology development: This involves a cooperative technical programme that is driven by technology needs of developing countries rather than the technology agenda of industrialized countries. Such a programme would have elements that cover all aspects of technological development, from basic research to demonstration and early deployment, with the combination of activities for any specific technology being shaped by a nuanced understanding of the innovation gaps for that technology. In the case of mature, well-developed commercial technology such as supercritical power plants, this programme would involve refinement and adaptation of technologies to meet local conditions. In the case of emerging technologies such as fuel cells, the programme would involve some joint applied R&D, significant adaptation to local conditions, and even joint demonstration activities. This is particularly important where non-economic barriers hinder the deployment of technology that otherwise make sense from the economic, climate and/ or Sustainable Development point of view. Sharing of experiences in industrialized or other developing countries and adopting policy approaches to overcome these barriers should be very helpful. At the same time, exploration of new and innovative mechanisms should also yield valuable results. Furthermore, analysis and development of appropriate policies and programmatic approaches, tailored to the needs of specific technologies and national circumstances, would be helpful. It also would be useful to explore alternative ways of enhancing and accelerating innovation such as innovation challenges/prizes, the creation of guaranteed markets, and IP-sharing approaches. Capacity building in Non-Annex I countries: Since climate challenge is a long-term challenge, a case can be made that building local innovation capacity in developing countries will be critical for helping with adaptation, development of appropriate technologies, and effective deployment. This would not come about just from staffing a few high-tech laboratories, but also from training the next generation of technically competent people.Therefore, it is critical to strengthen local education and research institutions and ensure that they link up to international innovation activities. Protection for the sustainable management of biodiversity is important to achieving the Millennium Development Goals (MDGs). These goals are unlikely to succeed if environmental sustainability and access to energy services for the poor are not fully addressed. To view progress on Guyana's SNC click here. 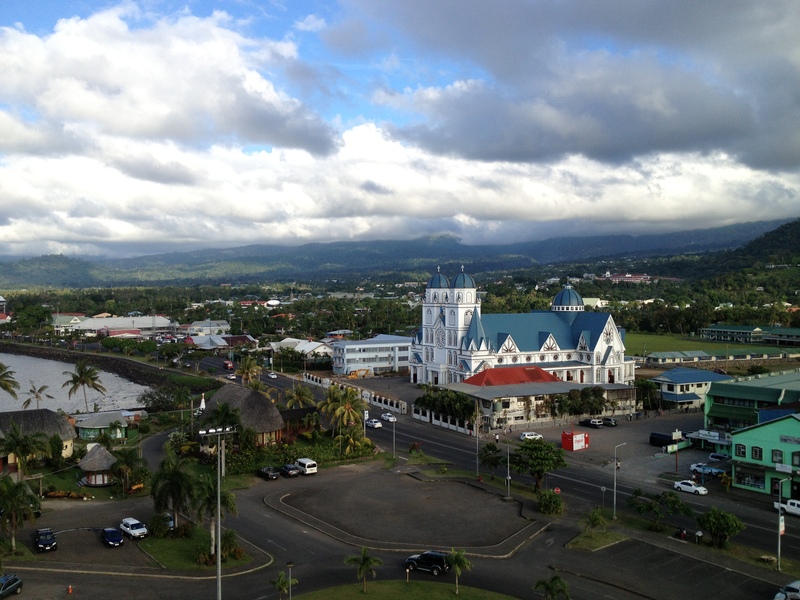 Guyana, based on the 1994 national inventory, makes only a minor contribution to emissions of greenhouse gases. However, increases in the global mean temperatures could have significant impact, especially on the coastal plain and on activities including the dominant agriculture sector in Guyana. 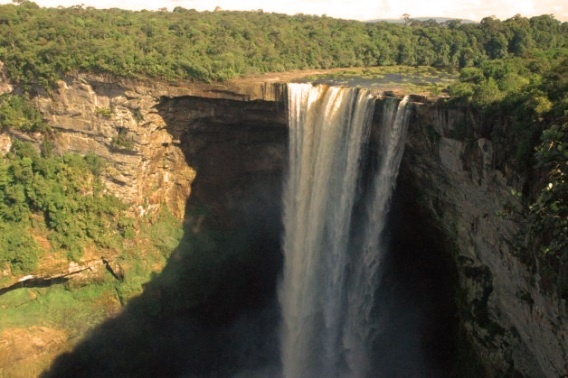 Guyana is a tropical country situated on the northeastern coast of South America. It is bounded on the north by the Atlantic Ocean, on the east by Suriname, on the south by Brazil and on the west by Venezuela. It is an English-speaking country with close ties with the English-speaking Caribbean Islands. It is a member of the Caribbean Community (CARICOM) which has its headquarters in Georgetown, the capital city. Protection for the sustainable management of biodiversity is important to achieving the Millennium Development Goals (MDGs). And these goals are unlikely to succeed if environmental sustainability and access to energy services for the poor are not fully addressed. UNDP aims to help the Government of Guyana to strengthen its capacity to address these challenges at national and community levels by seeking out and sharing best practice, providing innovative policy advice and linking partners through pilot projects so that poor people can have access to the help they need to build sustainable livelihoods. It is a low-lying state with a vulnerable coastal strip 77 km wide in the east and 26 km wide in the western Essequibo region. Ninety percent (90 %) of the population resides in the coastal strip where the main urban centres and commercial activities are to be found. There is a wide range of geographic types with coastal, hilly sandy, highland, forested and savannah regions. There is no current tectonic activity in Guyana and indications are that the Guyana shield (and the coastal strip, in particular) will not be affected by convergence of the South and North American plates. The country can be divided into climatic regions ranging from dry (annual rainfall less than 1788 mm) to extremely wet (annual rainfall greater than 4100 mm). There is currently a very high level of adaptation activity in Guatemala. To date, the focus of adaptation projects has been on capacity building, primarily in the water and agriculture sectors, as well as with respect to enhancing the capacity of the government to respond to climate change impacts. In addition, investments have been made in a coastal zone management, forestry and disaster risk management. Gaps in programming appear to exist with respect to human health, the built environment and gender. Projects have been supported by a wide range of funders and implementers, from the United Nations Development Programme (UNDP) and the World Bank, to high levels of involvement from the government and local non-governmental organizations (usually as implementers). To view progress on Guatemala's SNC click here. 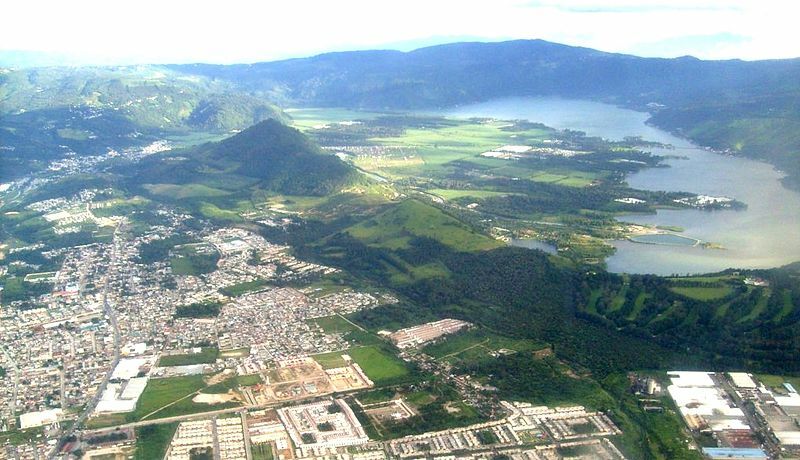 With coastlines on both the Pacific Ocean and the Gulf of Honduras, the mountainous country of Guatemala covers an area of 108,889 square kilometers and has the largest population in Central America (estimated to be 14.36 million people). With political stability having returned to the country since 1996, its economy has grown. Agriculture accounts for 26 per cent of exports (including traditional products such as sugar, bananas and coffee, as well as new products such as winter vegetables, fruit and cut flowers). Other important economic sectors include tourism and the export of textiles and apparel (USDS, 2011). Despite these gains, Gross Domestic Product per capita remains about half of the average for Latin America and the Caribbean (at US$5,200 in 2010; CIA, 2010). 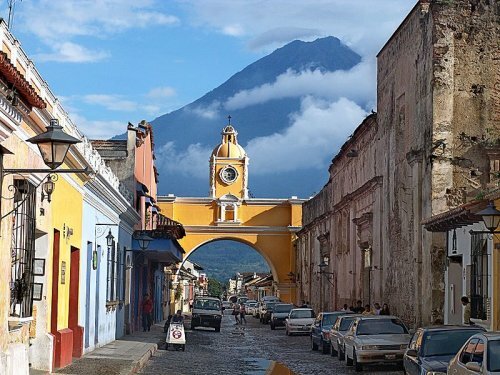 Like most countries in Latin America, Guatemala has submitted one national communication to the United Nations Framework Convention on Climate Change (UNFCCC). Land use change and forestry are by far the largest contributors to GHG emissions in the country. The emission reduction potential of the sector is large, but not sufficiently explored. Guatemala counts with 8 CDM projects, one of which is in the agricultural sector. The Project on Capacity building for Stage II adaptation to climate change (Costa Rica, Cuba, El Salvador, Guatemala, Honduras, Mexico, Nicaragua, Panama) is funded through the GEF Trust Fund and is implemented by UNDP. Central America, Mexico and Cuba serve as the pilot region for elaborating and applying an Adaptation Policy Framework for preparing adaptation strategies, policies and measures. The application of this framework will demonstrate how policy for adaptation can be integrated into national sustainable development for at least three human systems: water resources, agriculture and human health. This demonstration project builds upon the Stage I vulnerability and adaptation assessments of the Initial National Communications of the eight participating countries of the region and will prepare them to move onto Stage III Adaptation. The outputs of the project, Stage II adaptation strategies may be used for preparing second National Communications. Guatemala’s size and topography mean that there is a wide variation in climate within the country, from hot and dry to cool and humid areas. Current climate hazards include tropical storms and cyclones (with no clearly observed increasing or decreasing trend), droughts (increasing trend) and extreme rainfall events resulting in floods (also no clear trend). Key climate projections show an increase in mean monthly temperatures of between 0.6° to 3.4°C by 2050, depending on the emission scenario and the season. There is much less clarity about rainfall, with climate models showing both increases and decreases depending on the emissions scenarios. Sea levels are expected to rise, however the extent to which they will do so is uncertain due to other factors, including the movement of tectonic plates (República de Guatemala, 2001). National adaptation priorities have been identified in a number of key documents. Guatemala’s First National Communication to the United Nations Framework Convention on Climate Change (UNFCCC) focuses its detailed vulnerability assessments on the health, forest, staple foods and water sectors, implying that it is in these sectors where the impacts of climate change will be harshest (República de Guatemala, 2001). Subsequent documents continue to refer to the sectors highlighted in the First National Communication. The more recent “National Climate Change Policy,” developed by the government of President Alvaro Colom and published in 2009, lists as key objectives capacity development, vulnerability reduction and adaptation, along with a reduction in greenhouse gas emissions (Guatemala, 2009). Within the policy, the following areas are considered relevant to adaptation action: health; agriculture, livestock and food security; forest resources; integrated water resources management; ecosystems conservation and management; and infrastructure. Based on these policy documents, health, water, agriculture, forests/ecosystems and infrastructure can be considered key sectors for adaptation in Guatemala. In terms of priority action, the First National Communication focuses solely on mitigation action and not adaptation priorities (República de Guatemala, 2001). Similarly, the “National Climate Change Policy” does not identify specific adaptation priorities either, but does propose the following guidelines which would strengthen adaptation: promote traditional and ancestral practices for natural resource use and management; take preventive measures; adopt integrated water resources management and prioritize protection of water bodies; and include climate variables in development planning (Guatemala, 2009). Additional studies conducted in two watersheds in the context of a regional adaptation program identified adaptation measures for water and food security. For water, the report proposes action on sanitation, demand management, irrigation, water storage, forest protection and reforestation, flood protection and early warning systems. 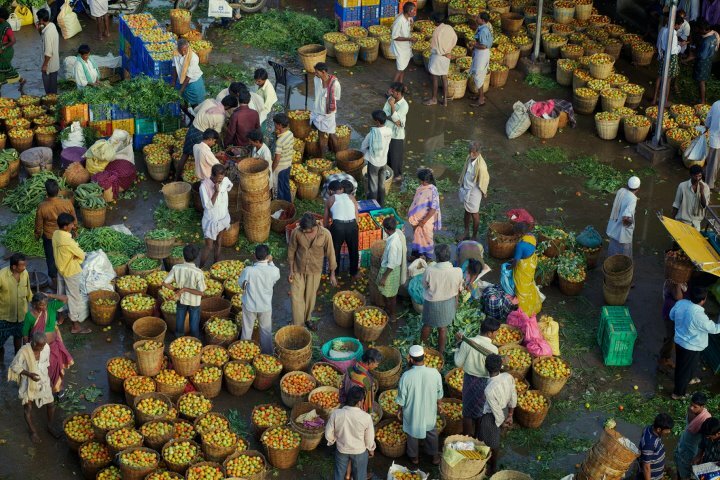 For food security, recommendations include organizational, commercial, technological, financial, normative and territorial measures to vitalize the food production chain (MARN, 2007a, 2007b). Finally, in a study conducted on two watersheds, the construction of flood barriers, water treatment plants and improvements in irrigation efficiency are proposed as important adaptation measures (Guatemala, 2008). The “National Climate Change Policy” (Guatemala, 2009) is Guatemala’s core policy document on climate change. It lays out the basis, objectives, entry points, guidelines and legal basis for national climate change adaptation and mitigation. Key objectives include capacity development, vulnerability reduction and adaptation, as well as climate change mitigation. The document specifies key sectors for adaptation action, but does not indicate any specific actions or priorities. Following on from this effort, the country is expected to publish its Second National Communication to the UNFCCC soon. Guatemala’s Ministry for Environment and Natural Resources (MARN) is the UNFCCC focal point and is leading all work related to climate change for the government, including the drafting of the Second National Communication. The first Communication, dating from 2001, presented the results of vulnerability assessments for various sectors, but did not indicate a way forward for adaptation. Also within the policy space, in its current strategic plan, the Secretariat for Planning and Programming of Guatemala’s National Planning Unit (SEGEPLAN) only mentions adaptation to climate change once in the context of territorial planning and risk management (SEGEPLAN, 2010). A large IADB-funded capacity building project, to be launched in the near future, aims to strengthen climate change institutions in the country through better interagency collaboration and the inclusion of climate change into a new “National Policy for Disaster Risk Reduction”. Guatemala is a member of the Central American Integration System (SICA), the institutional framework for the integration of Central American states, and of the Central American Commission for Environment and Development (CCAD), a committee which brings together the environmental ministries of the SICA member states. Under the auspices of SICA and CCAD, a regional climate change strategy has recently been developed (CCAD and SICA, 2010). The strategy summarizes climate information and sectoral vulnerabilities, and proposes six strategic areas for action, including “Vulnerability and adaptation to climate variability and change, and risk management.” Under this theme, nine strategic objectives (with over 150 measures) are listed: disaster risk reduction, agriculture and food security, forest ecosystems and biodiversity, water, health, coastal-marine systems, tourism, indigenous people and public infrastructure. The strategy’s other focal areas are: mitigation; capacity building; education, awareness raising, communication and participation; technology transfer; and international negotiations and management. Beyond current adaptation action, several large projects have been proposed for implementation in Guatemala. These include two food security programs and a coastal zone management project, with potential funding from the United States Agency for International Development (USAID). Another large project on increasing climate resilience in agriculture is waiting for approval from the Adaptation Fund. As with most of its neighbors, Guatemala has to date only submitted one National Communication. However, as the IADB noted when announcing its large capacity building and governance loan to the Guatemalan government, there is currently a lot of momentum in the country on climate change policy. The government has developed a “National Climate Change Policy” and funding has been approved for adaptation, though no specific government plans relating to adaptation have yet been made available. And while sectors have not explicitly been prioritized, key documents largely overlap in identifying health, agriculture, water, forests, ecosystems and infrastructure as key areas. Programmatically, there have been quite a number of important adaptation project implemented and, significant, larger projects have recently been approved or are pending approval. To date activities have focused on governance and capacity building (mostly for government institutions), as well as more local-level issues related to water and agriculture. Projects relating to forests tend to focus on mitigation rather than adaptation. Despite being a significant concern, there are no current or proposed activities associated with the health sector. Keller, Echeverría, Parry (2011) “Review of Current and Planned Adaptation Action: Central America and Mexico.” Adaptation Partnership / International Institute for Sustainable Development. Central Intelligence Agency [CIA] (2011). Guatemala. The World Factbook. Retrieved from https://www.cia.gov/library/publications/the-world-factbook/geos/gt.html. Comisión Centroamericana de Ambiente y Desarrollo [CCAD] and Sistema de la Integración Centroamericana [SICA] (2010). Estrategia Regional de Cambio Climático. Documento Ejecutivo. Guatemala (2009). Política Nacional de Cambio Climático. Guatemala (2008). Evaluación y Planificación del Recurso Hídrico a través de WEAP. Ministerio del Ambiente y los Recursos Naturales [MARN] (2007a). Análisis de Vulnerabilidad Futura de los Granos Básicos al Cambio Climático. Ministerio de Ambiente y Recursos Naturales. Ministerio del Ambiente y los Recursos Naturales [MARN] (2007b). Análisis de Vulnerabilidad Futura de los Recursos Hídricos al Cambio Climático. Ministerio de Ambiente y Recursos Naturales. Sectretaría de Planificación y Programación [SEGEPLAN] (2010). Plan estratégico SEGEPLAN 2008-2012.